Writing up a teacher observation is the final step in the review process. Teacher observations are often commonplace for those educators who do not have tenure within the school district and even when a teacher does have tenure, she may be subject to an administrator review and write-up. 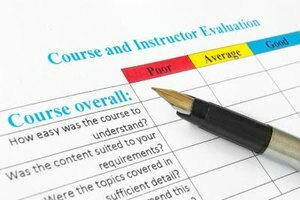 Peer reviews and write-ups of teachers may include an observation of their strategies, the manner in which they interact with students and their effectiveness with relaying the subject content. Teacher observation write-ups may be annual or, in some districts, may occur upwards of five times per year and are used to better the educational benefits of the students. Summarize the lesson or school day observed by listing the observations of the students and their behavior as well as how the teacher handles them. Include the atmosphere of the classroom as well as the relationship between teacher and students when writing the report. 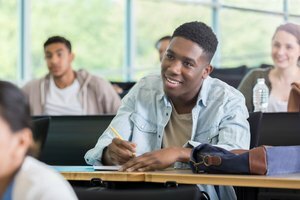 Write about the quality of student work observed to include group work, bulletin board projects or displayed work, and verbal student responses to teacher questions. Write, in accordance with notes made during the observation, about the effectiveness of the teaching, the lesson content being relevant to the grade-level and the formative or summative assessment of the subject area. Summarize the reviewed lesson plans and write a section about teacher preparedness to answer questions such as "Are the state standards for education listed on the lesson plan?," "Does the teacher's plan have smooth transitioning steps between lesson parts?" and "Did the teacher stick to the plan or stray far from it on an unrelated tangent?" Write a section about the teacher's demonstrated understanding of the lesson content as well as her goals for the lesson. Did the teacher demonstrate adequate classroom discipline when needed? 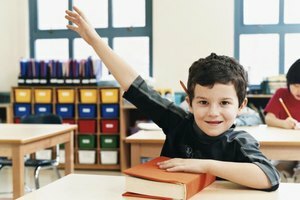 Was the teacher flexible during the lesson while keeping on task? 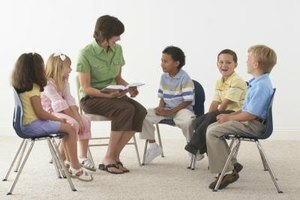 Did the teacher engage the students throughout the lesson? Include both teacher strengths and weaknesses in the observation write-up that were apparent during the lesson. Offer suggestions for improvement in the write-up that may conquer the described weaknesses while commending teacher strengths. The Marshall Memo: What's a Principal to do? Dawe, Trisha. "How to Write Up a Teacher Observation." Synonym, https://classroom.synonym.com/write-up-teacher-observation-8289103.html. Accessed 20 April 2019.